Amazon is offering a $50 discount on the ecobee4 Smart Thermostat, $70 off the Lenovo Smart Tab P10 and 57% off on Mobifren bluetooth earbuds. Stack this promo with this amazing Amex deal here. Beginning April 18, you can enjoy $50 off the ecobee4 Smart Thermostat with Alexa built-in. With the ecobee4 thermostat, you can control your thermostat using your voice with built-in Alexa. Ask Alexa to play music, hear the news, set a timer, adjust the temperature and so much more. Promotion ends June 2. Beginning April 14, you can save $70 off the Lenovo Smart Tab P10 with Alexa built-in. This 2-in-1 Lenovo tablet turns into a smart screen with Alexa when docked. You can play music, videos and get information with just your voice using Alexa. Promotion ends April 20. Full HD display: Lenovo smart Tab is a great Android tablet that Features a 10. 1” full-HD Display and four Dual front speakers with Dolby Atoms. Powerful tablet: 2-in-1 tablet with Qualcomm Snapdragon 450, Octal-Core, 1. 8 GHz Processor, 4 GB RAM, 64 GB ROM, and up to 256 GB micro-sd card support. Visual Alexa experience: Lenovo Tablet turns into a smart screen with Alexa when docked. Play videos, music, and get information with just your voice – all hands free. Surround sound: touchscreen tablet includes a smart dock Offering room filling Audio with sound from the smart docks’ 2 x 3W full-range speakers. Ask Alexa: just ask Alexa to check traffic, your calendar, or addition to your to do lists and control your smart home. Fingerprint sensor: smart Tab P10 includes a fingerprint login for multiple profiles. Now through April 16, you can avail this recently extended promotion where you can save 57% off on Mobifren bluetooth earbuds. 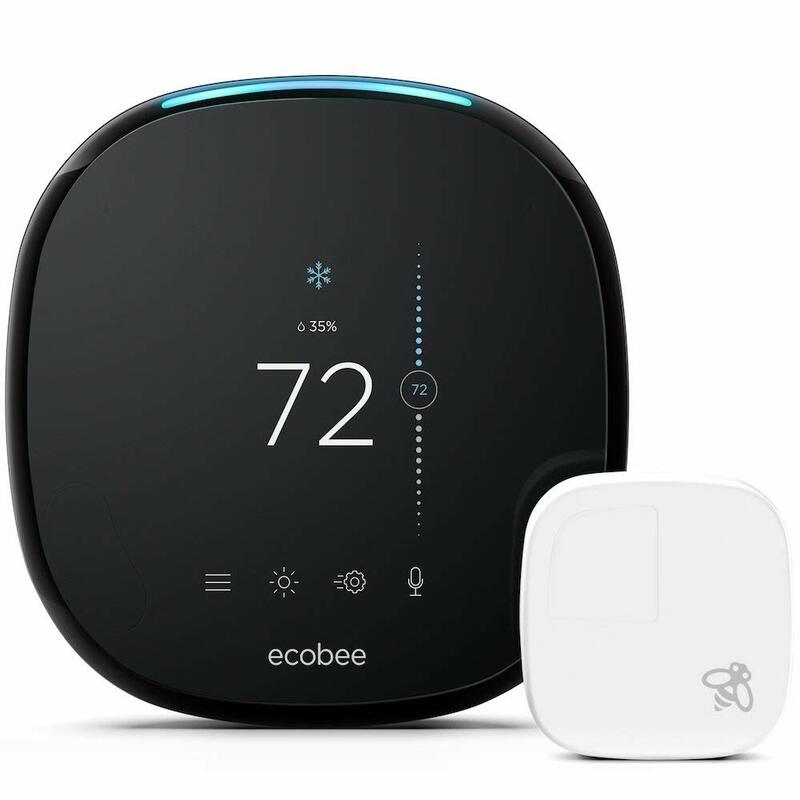 ecobee4 Smart Thermostat: click here to get the deal. Lenovo Smart Tab P10: click here to get the deal.